Forced-air ventilation hoses are mainly used in underground mines for ventilation of workings, they are also used in road and rail construction and tunneling, as well as in other industries, as ventilation hoses used to force air into buildings, halls, tents, etc. Hoses characterized by low flow resistance, they can also be used for airing, dust removal, transport of bulk materials, heating to 70°C and air-conditioning. 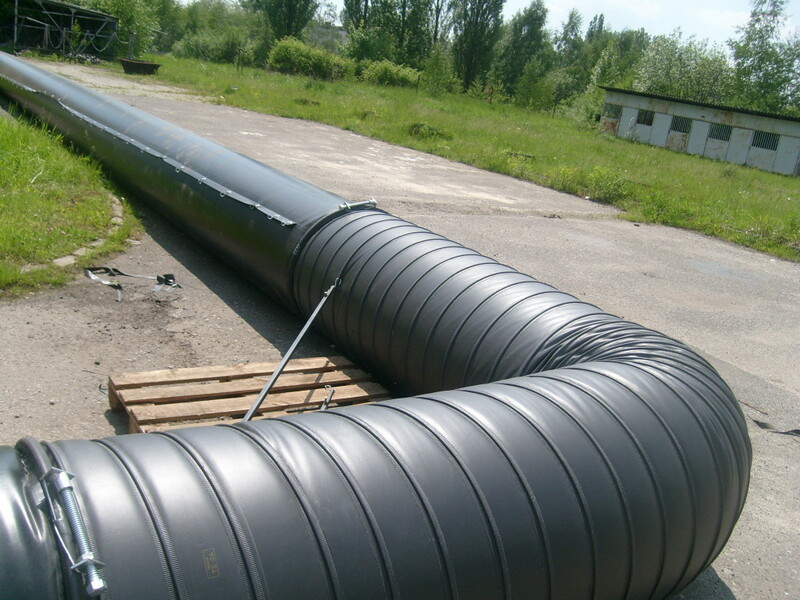 We produce forced-air ventilation ducts in diameters ranging from 200 mm to 2400 mm. At the customer’s request, we are ready to make larger diameters and any hose length according to the needs. 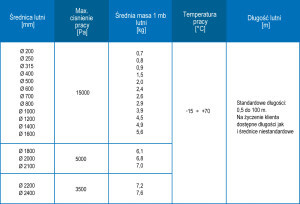 We also manufacture “lightly reinforced” forced-air ventilation ducts – these are the hoses identified as a class “A”. “O” class forced-air hoses, due to their structure, are very well suited as joints for forced-air ventilation and simply as forced-air hoses where there is no possibility to hang the duct. 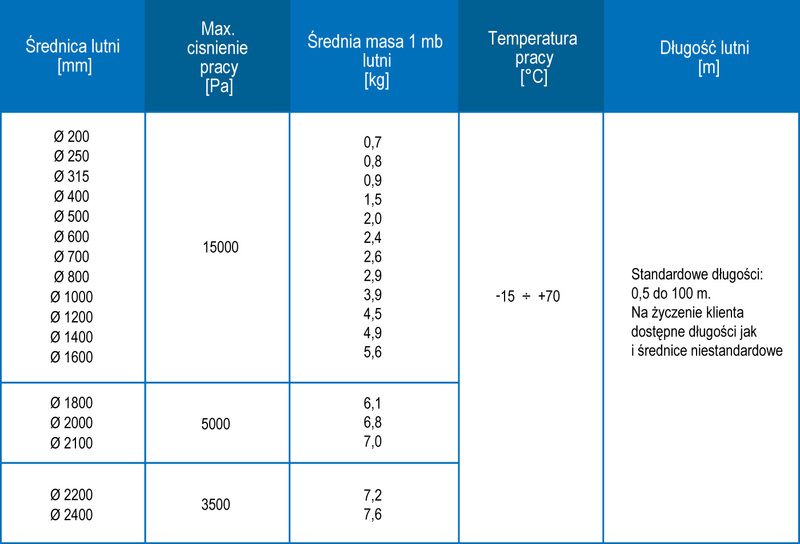 The range of forced-air hoses produced by us is presented in the table below. Our hoses provide the user with low aerodynamic resistance, which allows for significant reduction of the cost of ventilation. As a standard, hoses are provided with bearing folds made of fabric and fitted with hooks of galvanized wire, enabling rectilinear, safe and efficient hanging of the hose. 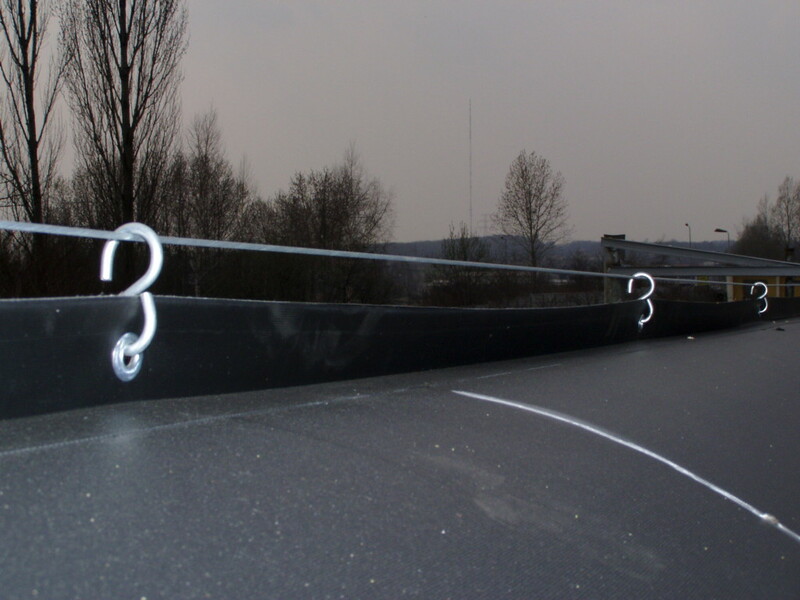 In the case of hoses of larger diameter (over 1,000 mm), we use two bearing folds together with mounted hooks. As connection of subsequent sections, special screw cable ties are used. 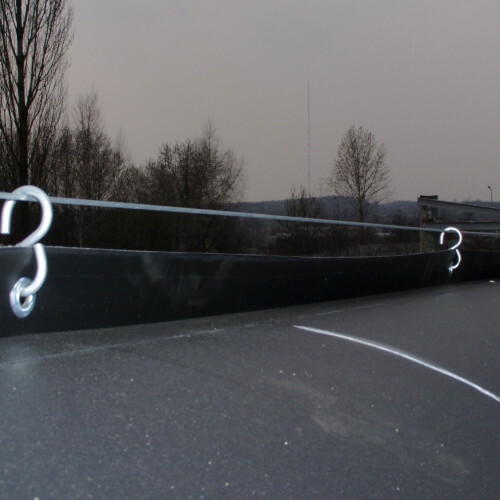 The design of the cable tie ensures tight and secure connection of hoses adjacent to each other, and other ventilation accessories. 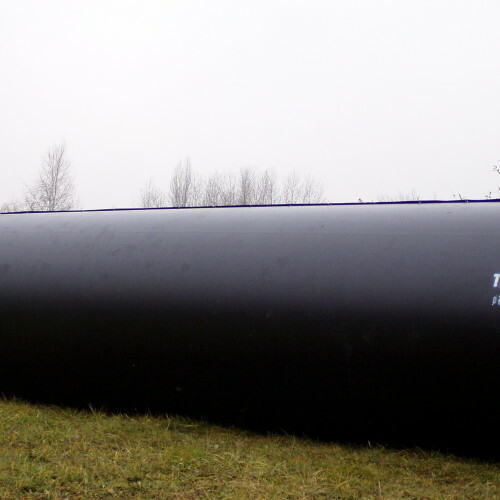 We also offer ventilation hoses for installation in deep shafts made by the same technique – hot air welding. 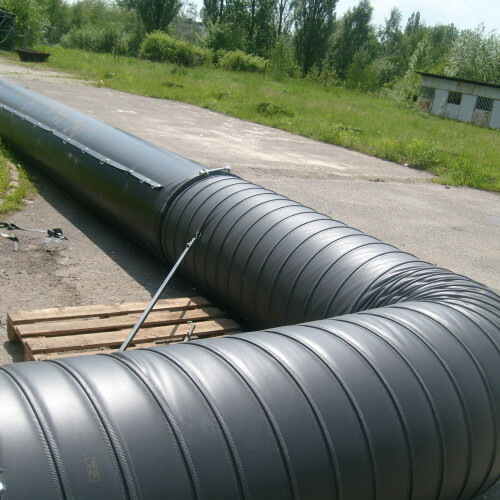 Hoses-shaft ducts can be used for forced-air ventilation. 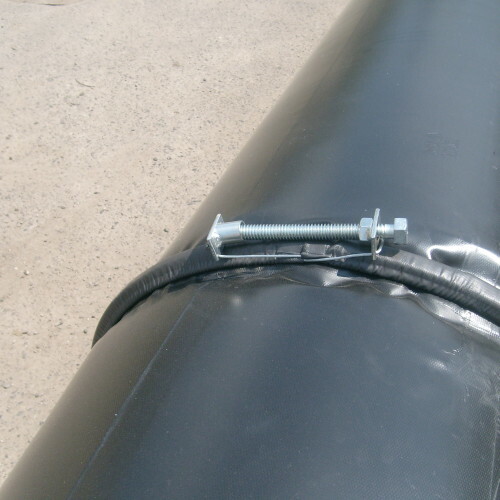 The only noticeable difference of such ducts is the fact of use, in addition to standard slings, of galvanized steel cords located on the two opposite sides of the hose, ended with tension bolts on one side. The mounted cords and tension bolts facilitate the installation of ducts in the shaft and are an additional element of the rectilinear hanging of duct. 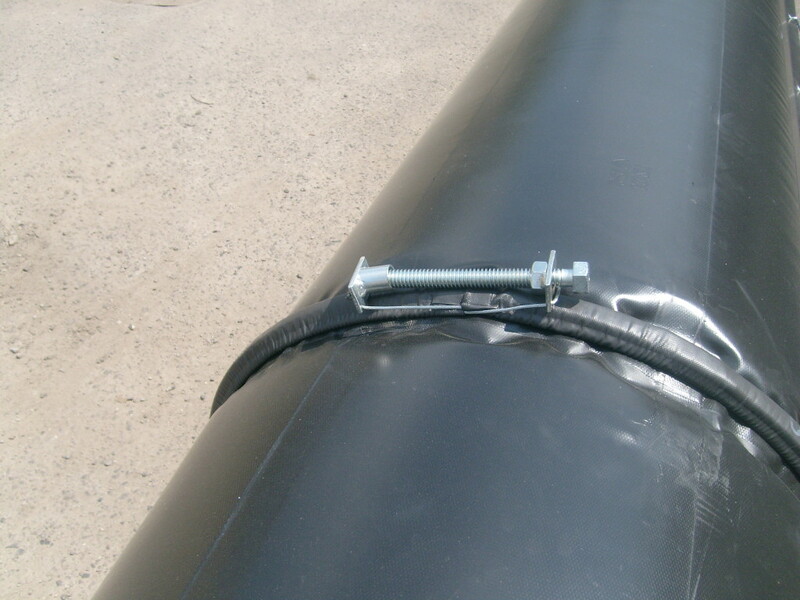 We also use screw cable ties to connect subsequent sections of shaft ducts. 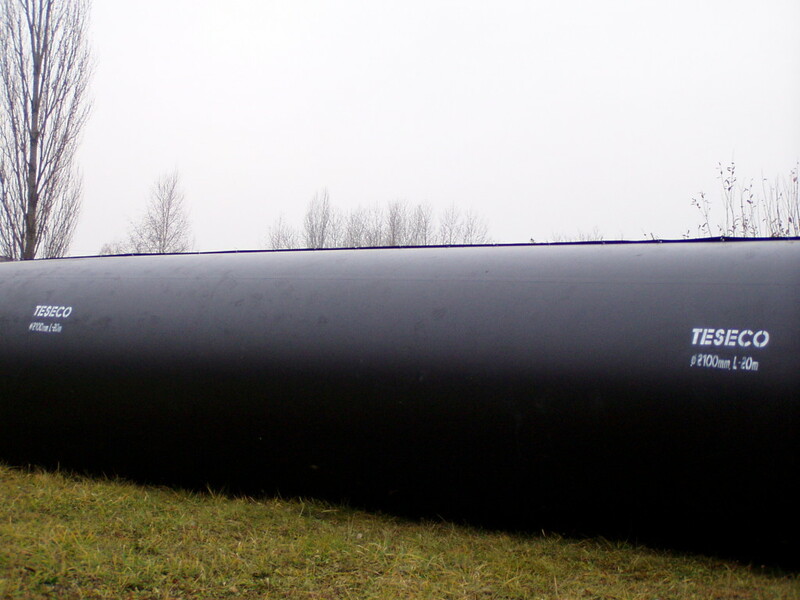 Shaft forced-air ducts are produced in the following diameters: from Ø 400 mm to Ø 1200mm and lengths; from 1rm to 20rm.